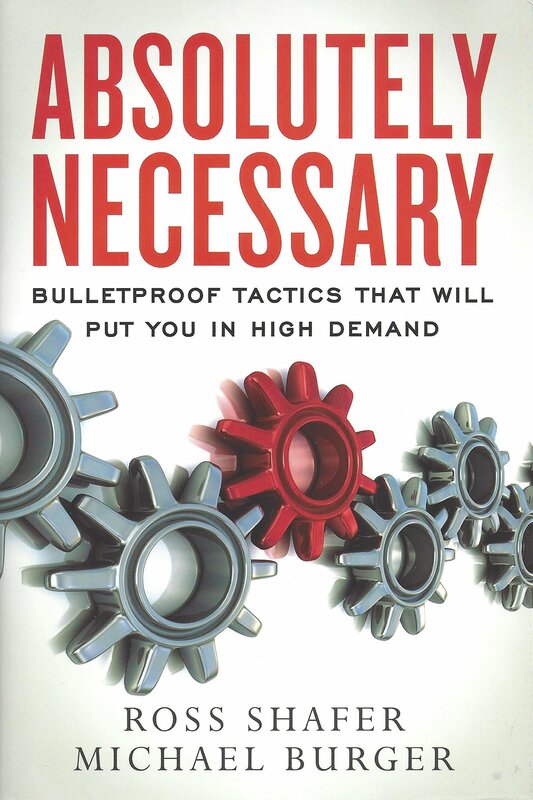 “Absolutely Necessary: Bulletproof Tactics that Will Put You in High Demand” is the latest book by best-selling author and Emmy award-winning comedian/talk show host Ross Shafer (co-authored by Michael Burger). Shafer came to the attention of The Speaker Experts years ago when we read a quote from Jay Leno describing Ross’s presentation – “Finally a motivational speaker without a speech”. Needless to say, we were not sure what that meant but given the source of the quote, we were compelled to find out…..and boy did we find out. Shafer brings a perfect storm of energy, humor and business acumen to the stage. He is a combination of Jay Leno, Tom Peters and Zig Ziglar. In Absolutely Necessary, Shafer and Burger outline principles and concepts that will teach you how to become “absolutely necessary” to your organization or company. The principles are a result of careful case-study research and hundreds of conversations with top business leaders. The book also draws from the personal successes and failures of both authors. The Speaker Experts have acquired 30 copies of this entertaining and informative hardcover book and are delighted to make these copies available to our readers and followers. Please complete the form below and we will rush you a complimentary copy.